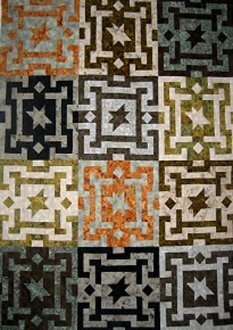 Easy, straightforward piecing put together in an interesting way is the foundation of this design. Large blocks make it ideal for larger lap or bed sizes. You need two fat quarters for each block or you can use paired half yards.